: The Downtown YMCA Building under construction, 1926. Source: Collections of the St. Louis Mercantile Library Association. The glowing yellow brick Downtown YMCA Building stands in need of new life, and both the prestige and potential economic benefit of its new National Register of Historic Places will help take the building there. PRO prepared the nomination for the owner of the upper floors of the building, which act as a separate condominium from the popular still-active Downtown YMCA Branch. Those floors have stood vacant for a decade, following long-ago conversion from sleeping rooms into apartments in 1977. Hopefully, the dormant residential space will become housing again. The Downtown YMCA Building is locally significant for both its architectural and social histories, a combination not apparent at first. The architectural allure is obvious, and was our starting point. Completed in 1926 and designed by the eminent local firm of LaBeaume & Klein, the Downtown YMCA Building epitomizes the national YMCA’s efforts in the early twentieth century to modernize its building practices through a combination of nationally-coordinated facility planning and individual local architectural expression. 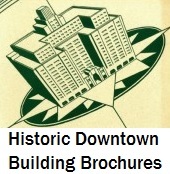 Although locally-designed, the ten-story building includes in its plan the facilities that were devised to become standard in the modern YMCA buildings built in the wake of the 1915 creation of the Building Bureau within the YMCA. 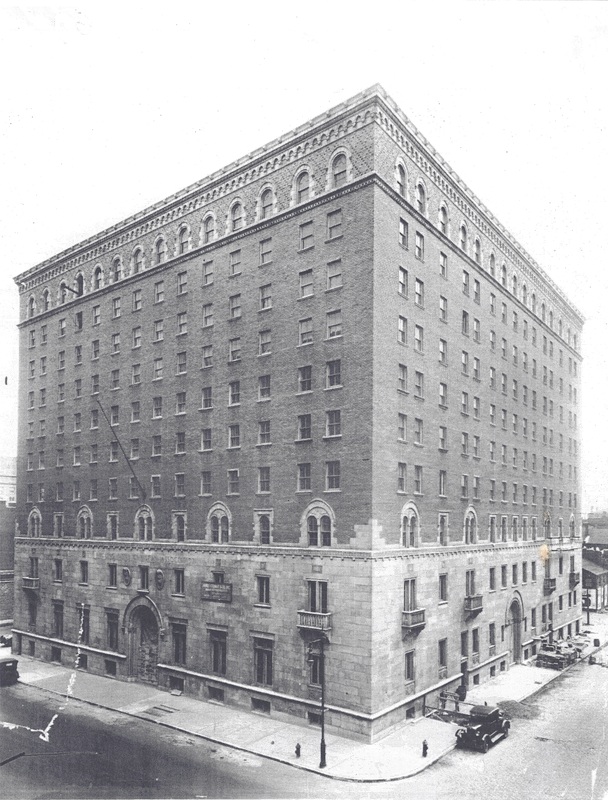 The Building Bureau’s modern program for YMCA planning was fully realized in St. Louis in the Downtown YMCA Building, which includes the standard plan of lobby, recreational rooms, athletic facilities and swimming pools below floors of sleeping rooms. Beyond the Building Bureau connection, we found a lesser-known contribution to the city’s cultural heritage. The Downtown YMCA was largest local YMCA branch providing the most diverse range of services including athletics, lodging and educational programs. That fact is significant, but has another layer: the Downtown YMCA housed Jefferson College, an experimental higher education program, from 1929 through 1942. The presence of Jefferson College distinguished the Downtown YMCA Building from other branches and associated it with an education program that served general needs and later World War II training demands. Read more history in the nomination document below. PRO Director Michael R. Allen prepared the nomination with assistance from then-intern Laura Jablonski, who delved into the Jefferson College story.